SysTools is a name trusted for qualitative solutions and with the Cloud Backup and Disaster Recovery range of solutions, the great potential of its services is proven again. 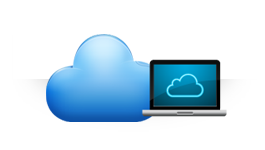 Get your Cloud storage data backed up locally with assured security and avail offering Disaster Recovery options. Safety of Cloud data is critically essential as working on its platform involves many critical situations that can even make your business run in downtime at crucial times. Enterprises relying on applications ranging from SharePoint, Google Apps, Office 365, and Gmail must be conscious about Cloud data vulnerability to issues like hacking and Server downtime. Ensure the safety and management of your Cloud data with the product range offered here.